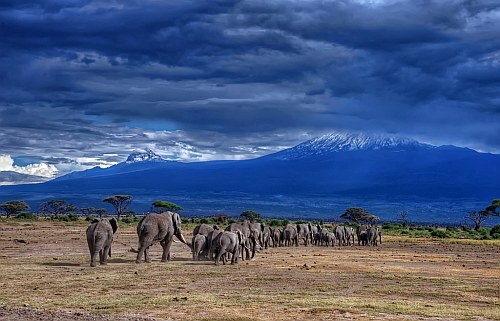 Air France has dropped the price of some of their flights from Toronto to South Africa and Mauritius down to between $580 and $654 CAD roundtrip including taxes. 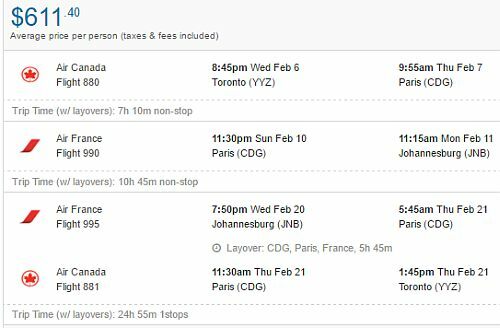 The Toronto - Johannesburg, South Africa flights have a 13 hour layover in Paris on the way there. 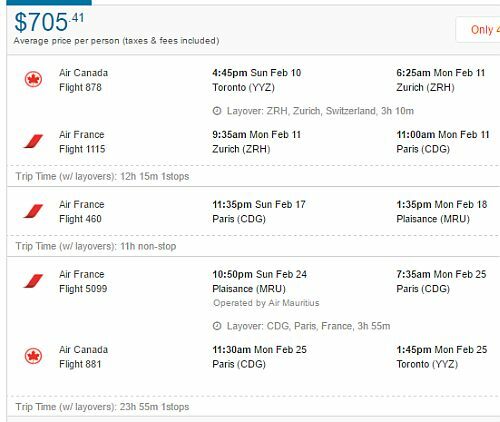 The Toronto - Mauritius flights have a 7 hour layover in Paris on the way there. 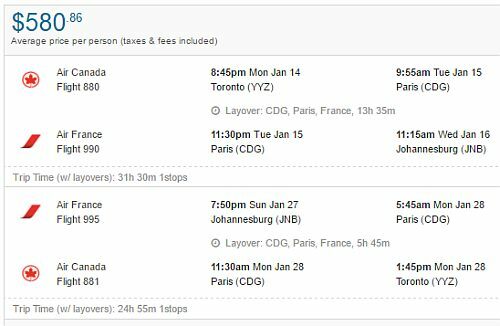 With the flights to South Africa, you can get rid of the long layover by turning these into a 2-in-1 trip, with an extended stay in Paris, and visit both destinations (see instructions below). If you're wondering where Mauritius might be, well, it's a *long* ways from Toronto. Update @ 3 PM EST - I haven't seen any working dates for about 40 minutes. Unfortunately I think this one's over! 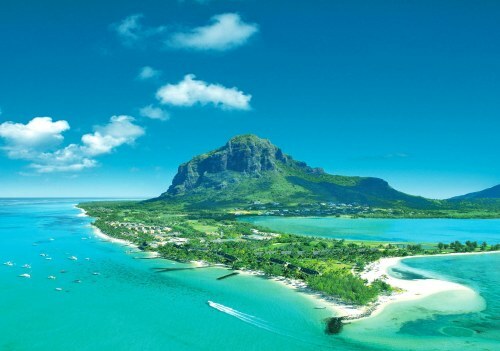 Mauritius has a classic tropical climate with warm weather year-round. October is one of the driest months of the year for Mauritius. Note that January to March is Mauritius's wet / cyclone season. 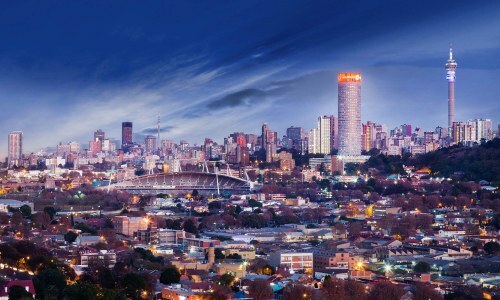 - with non-stop flights between Toronto and Paris, and from Paris to Johannesburg! 3. 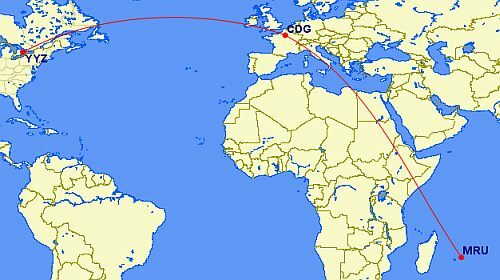 For the 1st and 3rd flights, try using start and end dates from the list of regular roundtrip dates to Johannesburg (top of the blog post). Feb 6 to Feb 10 to Feb 20. You can also try playing around with the middle date to give yourself more or less time in Paris vs South Africa. 3. 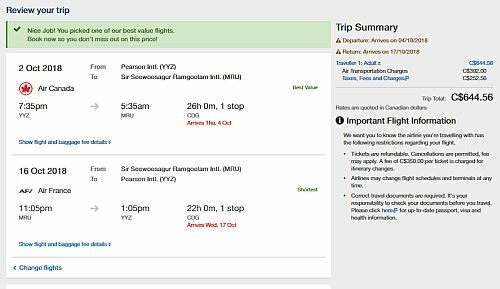 For the 1st and 3rd flights, try using start and end dates from the list of regular roundtrip dates to Mauritius (top of the blog post). Feb 10 to Feb 17 to Feb 24. You can also try playing around with the middle date to give yourself more or less time in Paris vs Mauritius.